RvmTranslator 3D PDF plugin can convert PDMS RVM files to 3D PDF without requiring the installation of PDMS software. By selected the Design Explorer tree node allows user to choose the hierarchy data to 3D PDF. 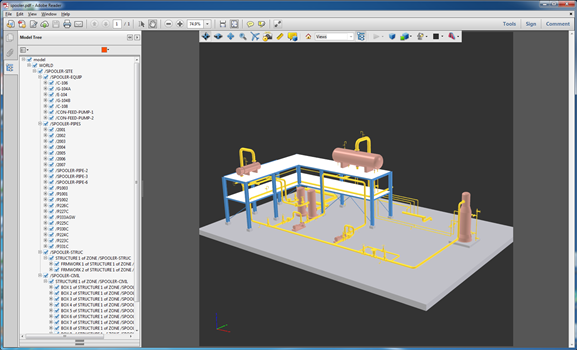 The resulting 3D PDF files converted from RVM file contain all the necessary information including design explorer hierarchy, properties and metadata of 3d model(it depends on the att file) and enables easy sharing to others for review without the need of additional software.